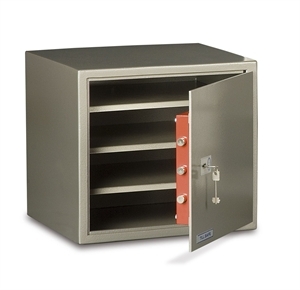 These free standing cash safes from Burton Safes are ideal for storing till drawers with a cash rating between £1,500 and £10,000 depending on the model selected. Securing the contents of tills whilst they are not in use in one safe place. Removable shelves in each model. Higher models have adjustable shelves also. Talk to us for more details and information about Burton Safes for tills on 0117 967 4994 today.